Running time for the film is 92 minutes. You can even bring your own popcorn and settle in for this thought-provoking film. Our Earth Day celebration then continues on Saturday, April 27, with free admission all day, and Earth Day activities from noon–4 p.m.
CLICK HERE to view our Earth Day event page for April 27. Community organizations will have exhibits to help people learn the importance of conserving the planet. The Center’s own live raptors will also be on display. Create a personalized and unique recycled vehicle from collected materials, and race the vehicle down a ramp against other cars during our Earth Day 2019 celebration. Participants will begin to learn the value of recycled materials as well as basic principles of speed and motion. CLICK HERE for all the details on the Recycled Vehicle Race! This new competition promotes conservation through unique art constructed from recycled materials. Artists of all disciplines and skill levels are encouraged to submit their projects, which must be family appropriate and relate to the them of Earth Day. CLICK HERE for all the details on the RAD contest! Take a cutting home with you to plant in your yard! When: Friday, April 26, 2019, 6 p.m.
What: The thought-provoking 2015 documentary The True Cost. Running time: 92 minutes. For more information about the Center’s Earth Day activities, contact one of our Green Team leaders, Rachel Lee ([email protected]) or Corey Anco ([email protected]). 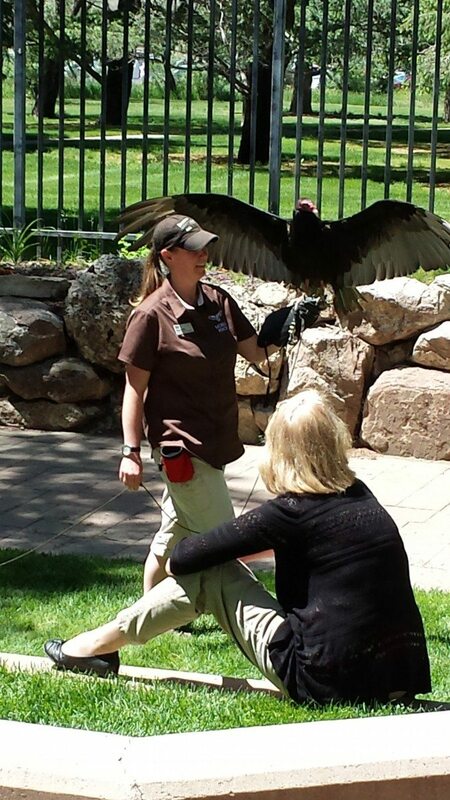 Melissa and turkey vulture Suli from our Draper Museum Raptor Experience. The Buffalo Bill Center of the West celebrates Earth Day with free admission all day on Saturday, April 27 (the weekend following “official” Earth Day). Our Center Store is having a store-wide sale—20 percent off! Earth Day activities take place from noon–4 p.m.
Who can enter? Open to all! Be sure to register for the appropriate age category. There are two age classes. Cash prizes! Class A: Participants 10 or younger on the day of the event. Class B: Participants 11 or older on the day of the event (including adults). Cars should be built by the primary person entering the competition. If the participant is a child, adult guidance is allowed. Wait, don’t throw that away! This new competition promotes conservation through unique art constructed from recycled materials. Artists of all disciplines and skill levels are encouraged to submit their projects, which must be family appropriate and relate to the them of Earth Day. Who can enter? Individuals or families may submit projects. In 2018, Wild West EV installed an electric car charging station at the Center, just west of the Robbie Powwow Garden at the southeastern corner of the property. Join us for our May Draper Natural History Museum Lunchtime Expedition lecture. Author Leslie Patten presents Ghostwalker: Exploring an Animal Living at the Edge of Human Awareness. Her talk explores how mountain lions go about living such secretive lives. Her presentation is followed by a book signing. The talks in this series are free, and take place in the Buffalo Bill Center of the West’s Coe Auditorium the first Thursday of the month. How do mountain lions go about living such secretive lives? Author Leslie Patten will discuss recognizing lion sign on the landscape, what new technologies are revealing about their social lives, and the impact a growing population of wolves and grizzly bears is having on mountain lions. Exciting new research coming out of Yellowstone National Park and Panthera’s Jackson study has given us greater insight into these elusive predators. Readings, along with unique video footage, will assure an interesting and lively lunchtime talk. 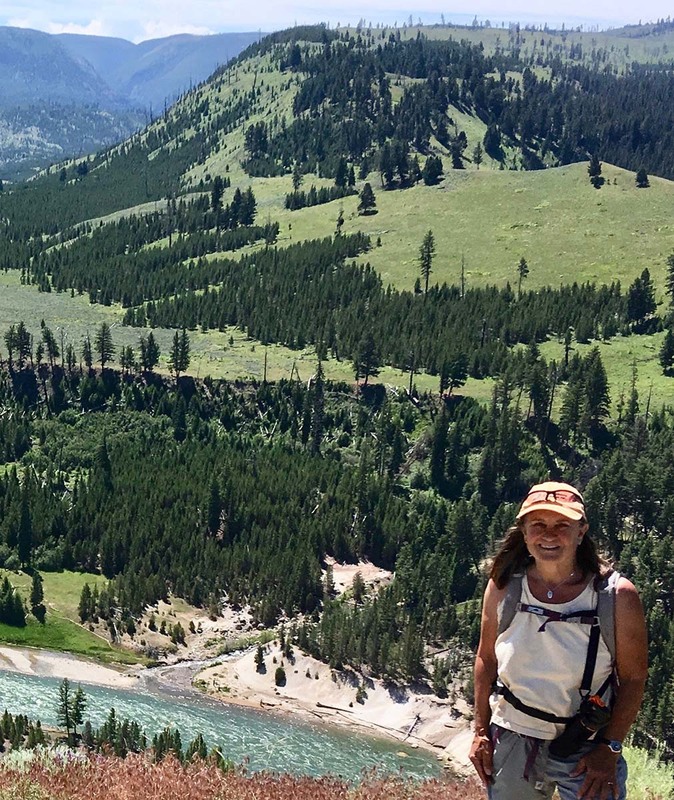 Leslie Patten has worked with land her entire life as a gardener, professional landscape designer, and a volunteer on a wide variety of wildlife studies. In 2005, she moved to a small cabin in northwest Wyoming. 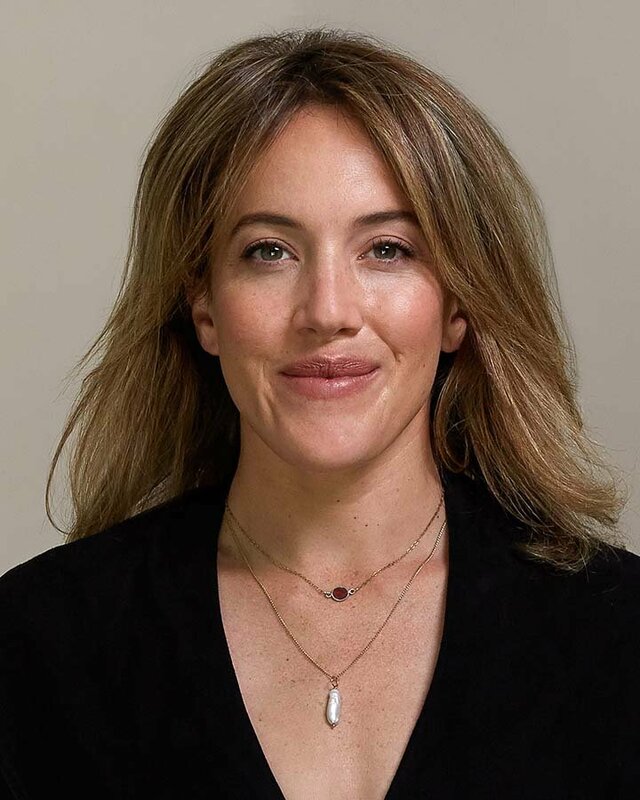 She is the author of three books, her latest one on mountain lions titled Ghostwalker: Tracking a Mountain Lion’s Soul through Science and Story. 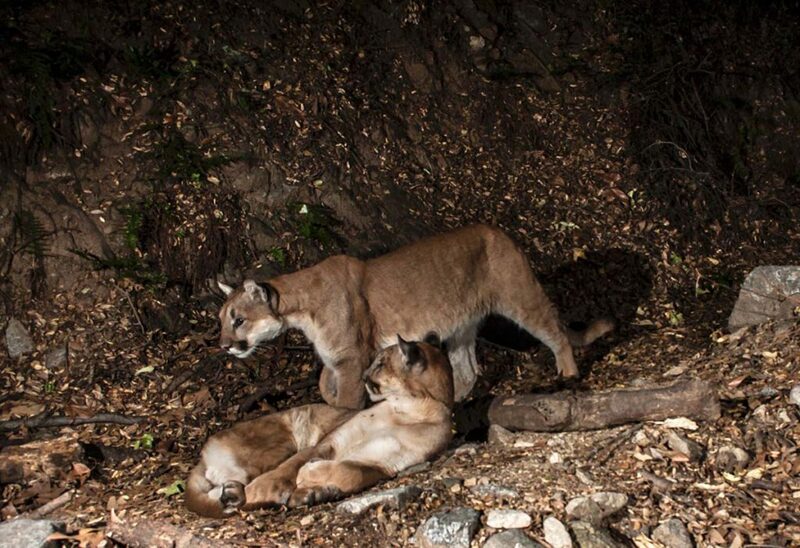 A trail camera captures two mountain lions. Leslie Patten speaks about the elusive animals at a May 2, 2019, talk. 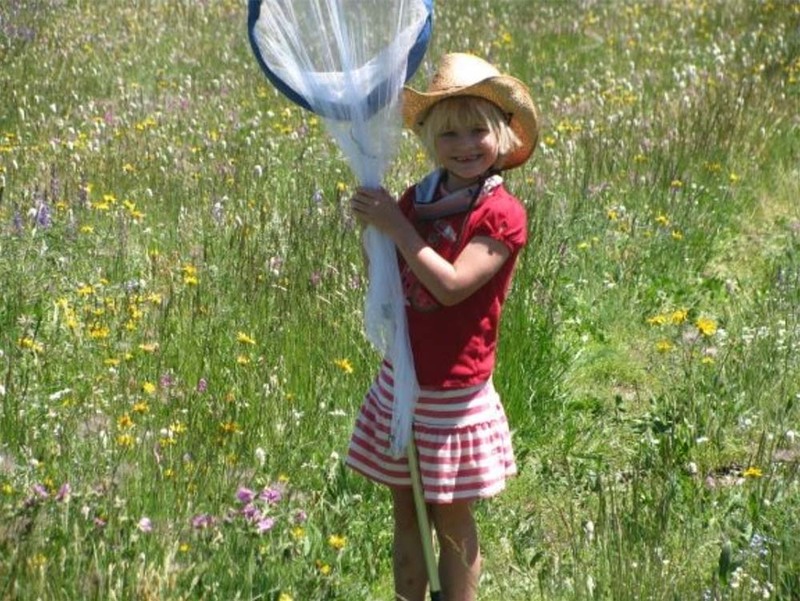 Draper Natural History Museum Lunchtime Expeditions are supported in part by Sage Creek Ranch and the Nancy-Carroll Draper Foundation. Join us the first Thursday of each month February through December for a Lunchtime Expedition! These free lectures explore a variety of natural history subjects and issues. Lectures take place in our Coe Auditorium at 12:15 p.m. and are free and open to the public. August 1: Mike Kochert with Fifty Years of Studying Golden Eagles: What Have We Learned? 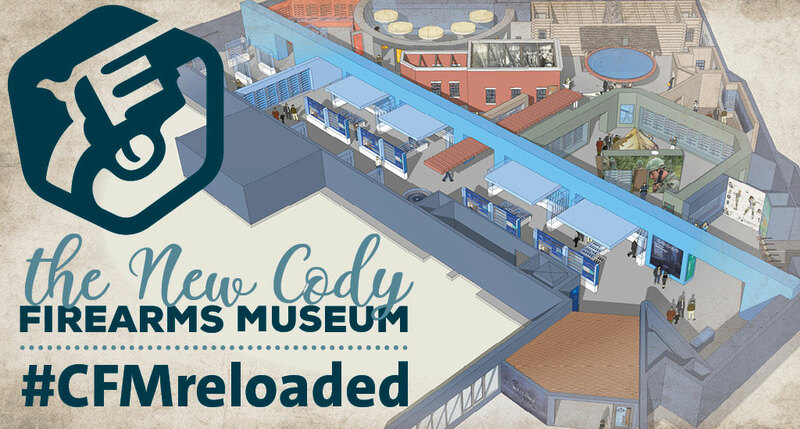 Center of the West members, we invite you to join us for refreshments and a curator talk featuring the Cody Firearms Museum, which is approaching the completion of its full-scale renovation, and its soft reopening in June. Our Coffee & Curators series invites members to enjoy coffee, refreshments, and each other as one of our curators speaks about a topic inspired by the Buffalo Bill Center of the West’s permanent collections, including special up-close or behind-the-scenes access. Space for this members event is limited and reservations are required. Call 307-578-4008 or e-mail us to reserve your seat. Meet us at the main entrance. Not yet a member but interested in joining? Click here to find out more. You can even join online! Cocktails and Live Piano Music: 6–7 p.m.
Join the Buffalo Bill Center of the West for a roaring Twenties evening! Enjoy lively piano music with Shaun Balch on the Grand Steinway piano (made possible by a generous donation from the Cody Community Concert Association) during a cocktail hour, and then a delicious dinner in the Kuyper Dining Pavilion. 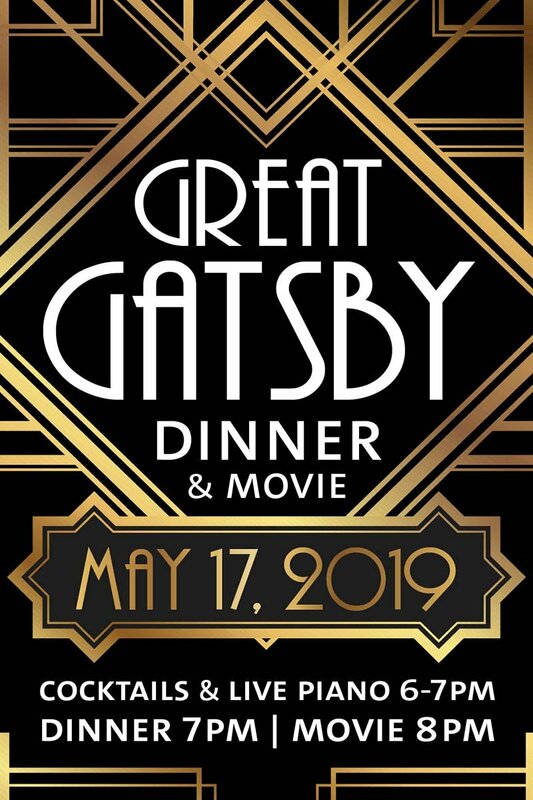 Then move to our movie theater and immerse yourself in the classic, 1974 movie adaptation of The Great Gatsby starring Robert Redford and Mia Farrow. 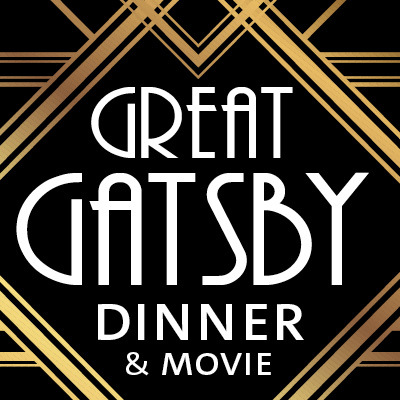 Based on the 1925 novel by F. Scott Fitzgerald; screenplay by Francis Ford Coppola. Starring Sam Waterston as Nick Carraway, Robert Redford as Jay Gatsby, Mia Farrow as Daisy, and Bruce Dern as Tom. Nick Carraway (Waterston) is a young man from the Midwest living modestly among the decadent mansions of 1920s Long Island. He becomes involved in the life of the mysterious Jay Gatsby (Redford), a rich man who throws the most lavish parties on the island. But behind Gastby’s outgoing demeanor is a lonely man who wants nothing more than to be with his old love, Daisy (Farrow). She is married to the bullheaded Tom (Dern), creating a love triangle that will end in tragedy. Won Academy Awards for Best Costume Design and Best Original Score. Karen Black, who played Myrtle Wilson, won a Golden Globe for Best Supporting Actress. Join us for a delicious lunch and a talk by our guest speaker, photographer Lindsay Linton Buk, whose presentation features her upcoming special exhibition—scheduled to open at the Buffalo Bill Center of the West on October 25, 2019—Women in Wyoming: Portraits and Interviews of Women Who Shape the West. Cost for our spring luncheon is just $25 for Buffalo Bill Center of the West members and $35 for non-members. Space is limited, so reserve your seat today by e-mailing our Membership Office or calling 307-578-4008. Lindsay Linton Buk is an artist, an editorial and commercial photographer, and a fifth-generation native of Wyoming. 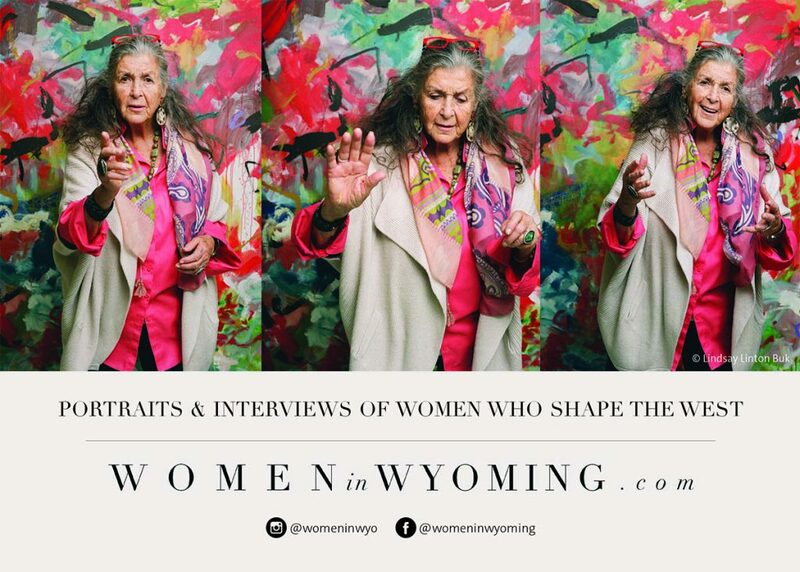 She created Women in Wyoming as a way to tell the stories of and celebrate the achievements, power, and learned wisdom of contemporary Wyoming women through art and media. For this project that is dear to her heart, Linton Buk has traveled more than 15,000 miles, developed 600 rolls of medium-format film, recorded 3,000 minutes of audio interview footage, and met with amazing women throughout Wyoming, including artists, Supreme Court Justices, politicians, authors, linguists, pilots, outdoorswomen, and others. Women in Wyoming shares their stories through portrait photography and a pocast, in which Linton Buk sits down for a conversation with these amazing women. Find out more about the project at womeninwyoming.com. Learn more about the upcoming exhibition at the Center of the West on our upcoming exhibitions page. If you are not yet a Buffalo Bill Center of the West member, click here to find out more and join! 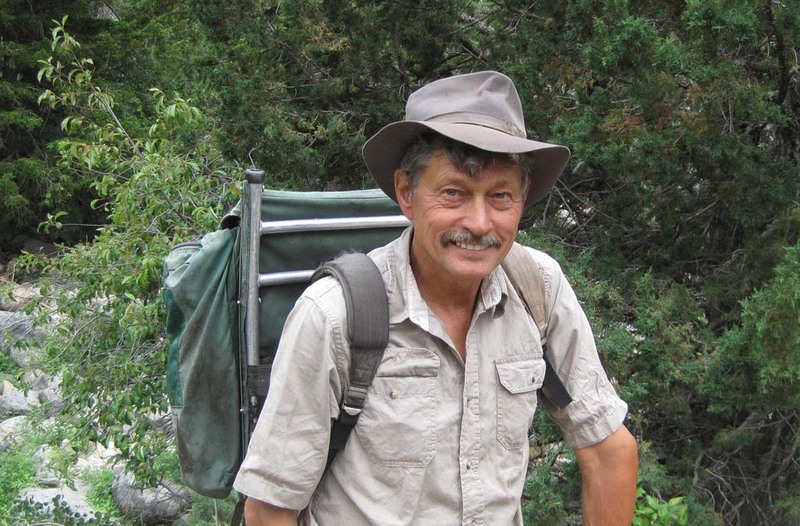 John Mionczynski discusses interesting plants of the ancient people of the Yellowstone on Jun 6, 2019. Join us for our June Draper Natural History Museum Lunchtime Expedition lecture. Wildlife consultant and ethnobotanist John Mionczynski discusses some of the interesting plants of the ancient people of the Yellowstone. The talks in this series are free, and take place in the Buffalo Bill Center of the West’s Coe Auditorium the first Thursday of the month. John Mionczynski functions as both ethnobotanist and cameraman for the Native Memory Project (formerly the Greater Yellowstone Historical Society) based out of Dubois, Wyoming. The group produces professional video footage of tribal elders recounting stories and knowledge of the way things used to be. The pre-reservation uses of plant medicines and foods, as well as ancient storytelling, are captured on these archival videos before they are lost forever. When this generation of native people is gone, there will be no one left to say they were raised with their pre-reservation grandparents. Prior to this, Mionczynski worked for most of the wildlife management agencies as a wildlife consultant. Over a 45 year span, he conducted field studies on grizzly bears, mountain goats, pronghorn antelope, elk, pika and nawazee. During this time he lived months at a time with two different herds of bighorn sheep to determine migration patterns and food habits. While conducting field studies he often collected native plants used by the tribes as his food and medicine. In all his time in the Yellowstone Ecosystem and the Black Hills, it was difficult to find a place that did not show evidence of native cultures living on the land. The study of these ancient people and their lifeways has been an obsession through his entire life. 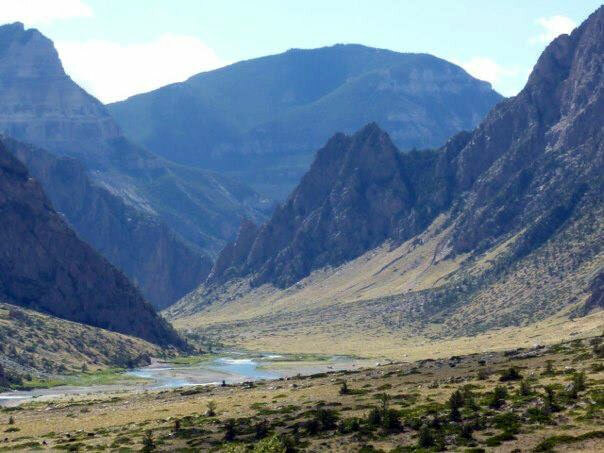 June 7, 8:30 a.m.–3 p.m.
Students embrace the summer season with a day hike in the Absaroka Mountains. Since hiking is always more fun with your friends, we’ve designed this hike just for kids! As we hike, we’ll explore some amazing geology and identify some cool early flowering plants. Advanced registration is required. Cost is $15 per student, with a special rate of $10 per student for Buffalo Bill Center of the West members. Scholarships may be available by contacting Interpretive Specialist Emily Buckles at [email protected] or 307-578-4110. The Center’s summer educational programs are made possible through a generous grant from the R. Harold Burton Foundation. 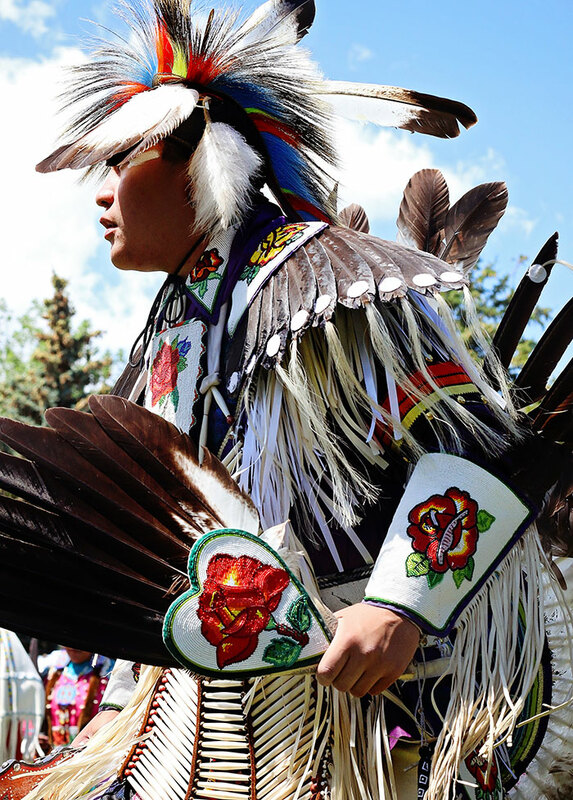 Join us for the 38th annual Plains Indian Museum Powwow, a cultural celebration and competitive dance competition, on June 15 and 16, 2019. Herman Vasquez, Eastern Shoshone & Kiowa Apache. Men’s Traditional Dancer from Fort Washakie, Wyoming. 2016 photo by Frontier Fortitude. June 15: Noon and 6 p.m. Dancers, drum groups, and artists from Northern Plains tribes gather to celebrate their vibrant cultural traditions and histories. Dance categories include traditional, jingle dress, fancy, grass, team dancing, tiny tots, and chicken dance. Men, women, teens, and children compete in various age groups for more than $25,000 in prizes. The Learning Tipi is a popular educational program that invites visitors to discover the traditions of powwow. Visitors shop for authentic Indian jewelry, beadwork, quillwork, clothing, basketry, pottery, paintings, sculpture, and more at more than forty vendor booths, and enjoy fry bread and Indian taco vendors, as well as food and beverage concessions. Powwow begins at noon both days with a Grand Entry. On Saturday a second Grand Entry takes place at 6 p.m. Powwow runs till about 9 p.m. Saturday and 6 p.m. Sunday. Gate opens to the public at 9:30 a.m. each day. Tickets are available at the gate or at the Center’s admissions desk beginning the Monday before Powwow. Admission is good for one day of the event. 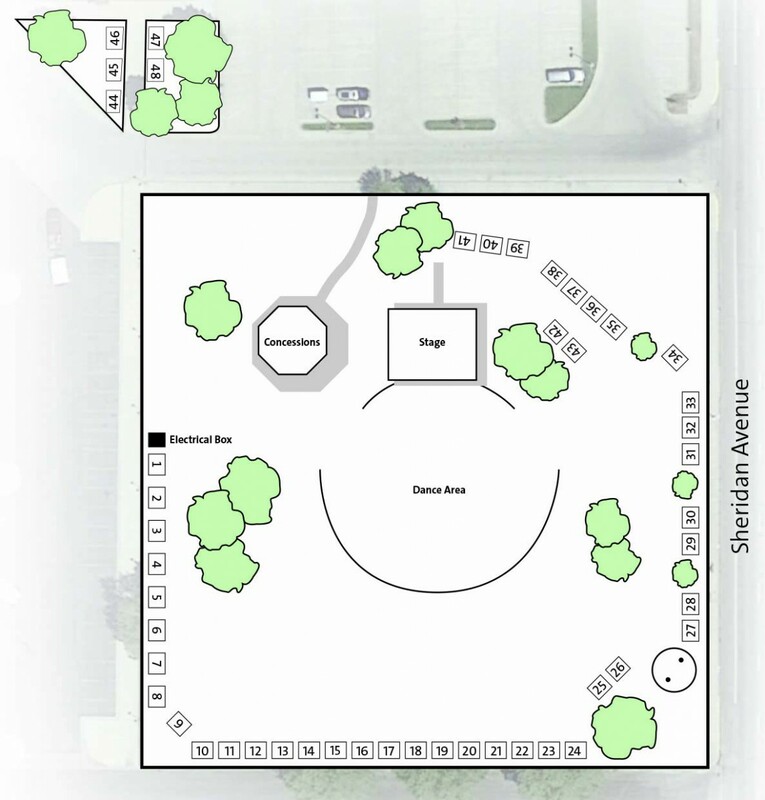 Visitors are welcome to bring chairs or blankets for our outdoor grass amphitheater. No pets please. For travel and lodging information contact the Cody Chamber of Commerce. For general questions about visiting the Buffalo Bill Center of the West e-mail Nancy McClure or call 307-578-4102. Dancers and their families receive a free pass to the Buffalo Bill Center of the West exhibits at dancer registration. Registration 8 a.m. – noon Saturday; late registration or for specials on stage both days. Contact: e-mail Hunter Old Elk or call 307-578-4012. Our powwow includes 48 vendors who sell arts and crafts made by enrolled members of North American Indian tribes and Nations. No food booths please. Applicants may download the above form, fill out both sides, and return it along with your deposit to Buffalo Bill Center of the West, ATTN: Hunter Old Elk, 720 Sheridan Avenue, Cody, Wyoming 82414. To view the map of vendor spaces larger, please click on the image at right. Questions? E-mail Hunter Old Elk or call her at 307-578-4012. The Plains Indian Museum Powwow is sponsored through the generous support of Choice Aviation; The Local, Artie Yellowstone Jewelry; Coca Cola Distributing of Cody, Whole Foods Trading Company in Cody, Wyoming, Wind River Hotel and Casino, Pinnacle Bank, and Legends Bookstore. For information on all events, please visit our Events page. June 19, 26, and/or July 3, 9 a.m.–10:30 a.m.
Students can come for one, two, or all three of these sessions. Using ALL of our senses, we will explore nature in our own backyard on the Paul Stock Nature Trail. Participants should come with water and sturdy shoes. Pick-up and drop-off will be at the Paul Stock Nature Trail parking lot. Cost per session is $10 per student, with a special rate of $5 per student for Buffalo Bill Center of the West members. Scholarships may be available by contacting Interpretive Specialist Emily Buckles at [email protected] or 307-578-4110.